Optimizing a website for a better online presence is not that simple as it demands great patience and time. The strategies SEO optimizers implement to audit websites are the best but take too much time to provide results following their course of action. At present, Google and other search engines have launched their own SEO audit tools and services that help site auditors in taking related actions quickly and systematically. And being able to access these tools as website optimization tools, search engine optimizers feel blessed as they can more easily execute standardized SEO tactics in order to reach the target customers and audience. Today, most online marketing people are using these tools on a regular basis to have perfect insights into the website and its associated pages. These tools are perfect to use and ensure accurate results with detailed reports. One of the added advantages of the above mentioned online SEO audit tools is that it eliminates the time spent on manual site checks and provides a better environment to get the required results within a few clicks. 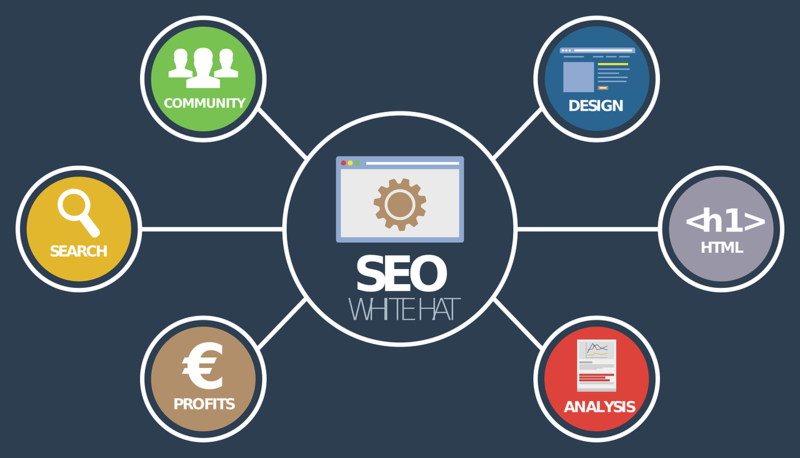 Nowadays, you can discover numerous SEO audit tools introduced to reduce the stress of online website managers. 1. Technical – Technical tools help search engine optimizers to recognize technical problems and resolve the website related issues. The program specializes on the analysis of large websites (we’re talking about millions of pages) with optimal use of RAM. You can simply import the data from web crawling and export the data to CSV. You can analyze incoming and outgoing links, find broken links and redirects, consider indexation instructions, and escape duplicate content: Titles, Meta Descriptions, H1 Headers, full pages, etc. A tool can calculate internal PageRank to improve website linking structure and you can set custom rules to crawl either the entire website or its certain part. Feel free to use a 14-day free trial with full access to the tool. If you want to know how Google optimizes your website, Google Webmaster is the only tool which can provide you with accurate insights. This tool simply acts like a supervisor and lets users know the fundamentals that Google uses to rank a website. A majority of online marketing divisions considers this tool helpful in terms of identifying and troubleshooting the critical issues that result in the website rank moving lower. Obtaining information regarding one or more keywords is a daunting task because it requires great effort and too much time. Choosing the BetterGraph Website Analyzer tool, you will feel more at ease from the core analysis side. Basically, it is a highly efficient tool which analyzes the website’s URLs to underline properly all the SEO related issues. Further, it quickly generates a detailed report of all the loopholes in the website and assists users in rectifying them correctly. It is not merely an audit tool, rather it is a complete website analysis tool which provides a deep analysis of your website and extracts the appropriate information on a range of possible SEO issues. 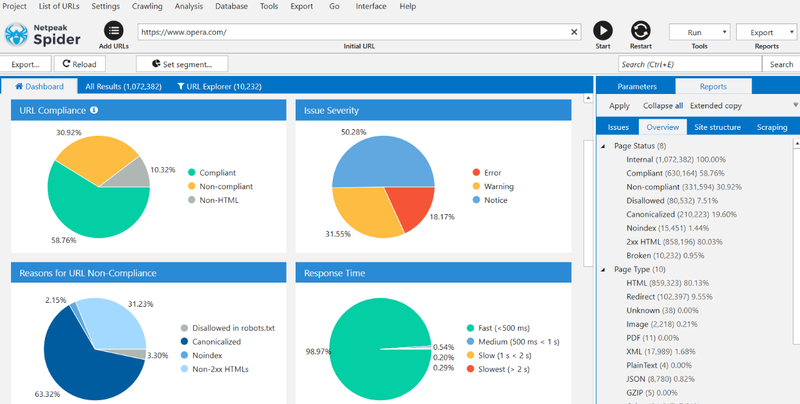 The parameters on which the results of this tool are based are the outlinks, security, response time, anchor text, etc. Further, it not only alerts the marketers to these issues but also provides easy ways to correct the flaws then and there. 2. Keyword Analysis – Keyword analysis tools are considered as the most significant, valuable and effective aspect in the realm of search engine marketing. Let’s suppose you are a blogger or a website analyzer, the thing you definitely need is the prime keyword on which the relevant traffic relies. Google Keyword Planner is the widest used tool, which helps users by offering an effective means to find the most suitable keywords for website pages and blogs. Generally, this tool works as a guide for users and helps them determine how keywords have been used in a page. Moreover, users can also get information regarding the performance of the keywords with the aid of this tool. 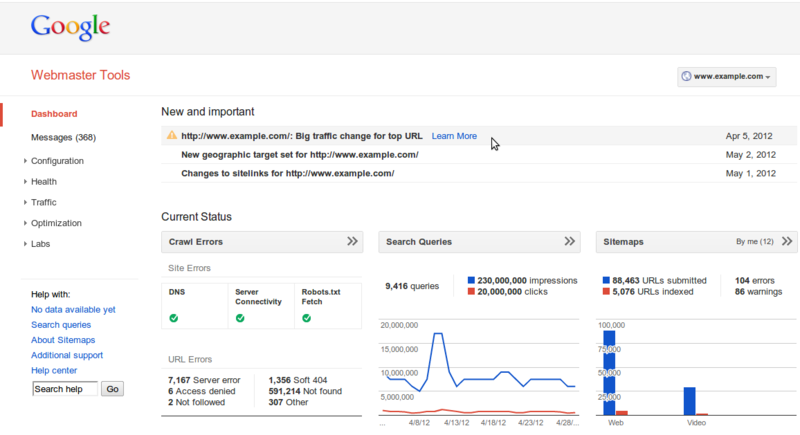 This tool is also related to keyword performance analysis. 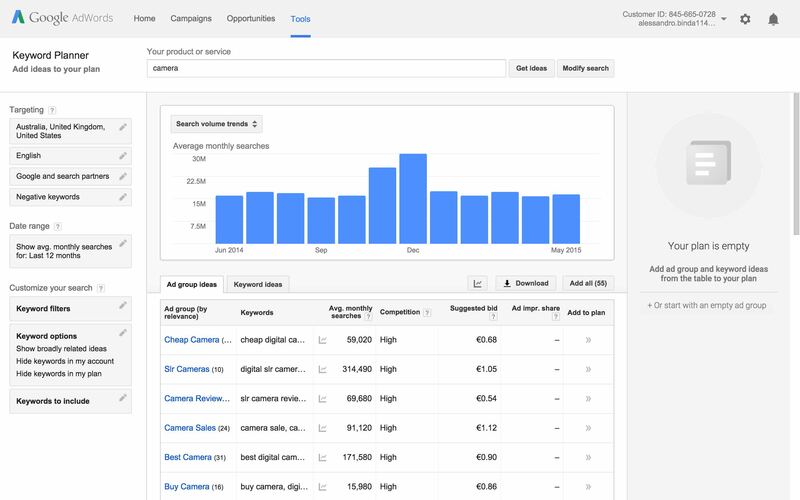 By using this tool, marketers and online managers will be able to check the density of a keyword throughout the web page or blog. 3. Broken Links Analysis – With the help of Broken Link Analysis tools, search engine optimizers can easily analyze the entire website and its broken links. It has often been observed that a website might have a perfect layout and content but still, it doesn’t generate much traffic and conversions. It is because of its dead and broken links that make the site less visible to the prospective customers. 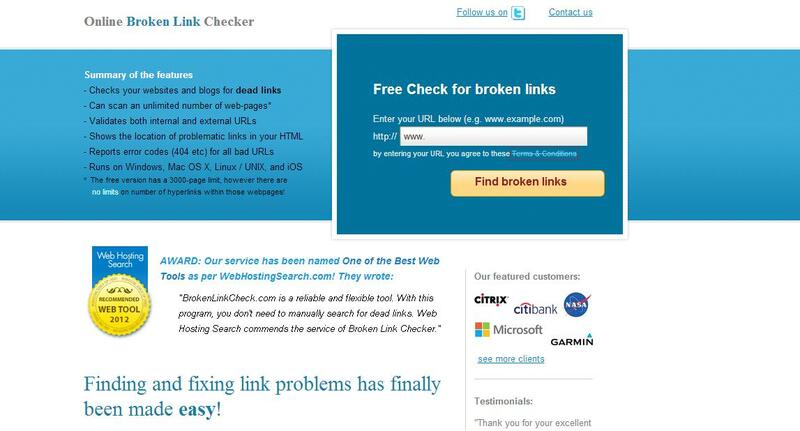 With the help of this Broken Link Checker tool, marketers can check an infinite number of pages and their exact location of broken links as well. This tool works in a similar way to the above-mentioned tool. The best part of this tool, which distinguishes it from others, is its automatic link checking functionality. Through this tool, the entire website gets automatically checked on a regular basis with the benefit of getting detailed reports of the dead links sent to the associated mail id. 4. Copied Content Analysis – Tools in this category are known for fast examination of the entire page to find the duplication of the text. 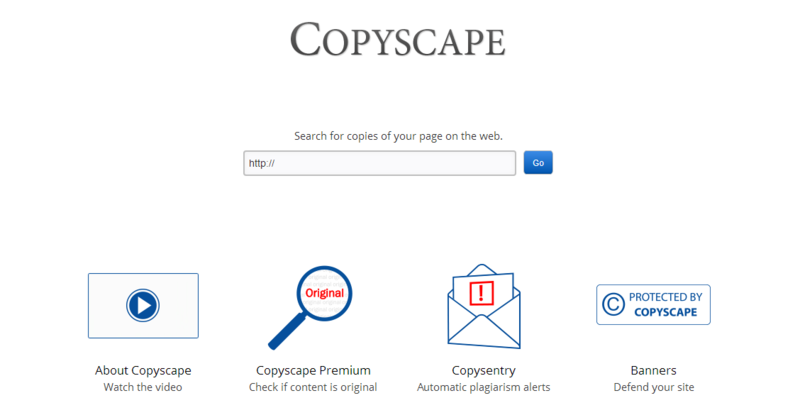 This is specifically a plagiarism checker tool, which is widely used to check the duplication of content placed on web pages. By utilizing this tool, users can also protect their websites from content theft and fraud. 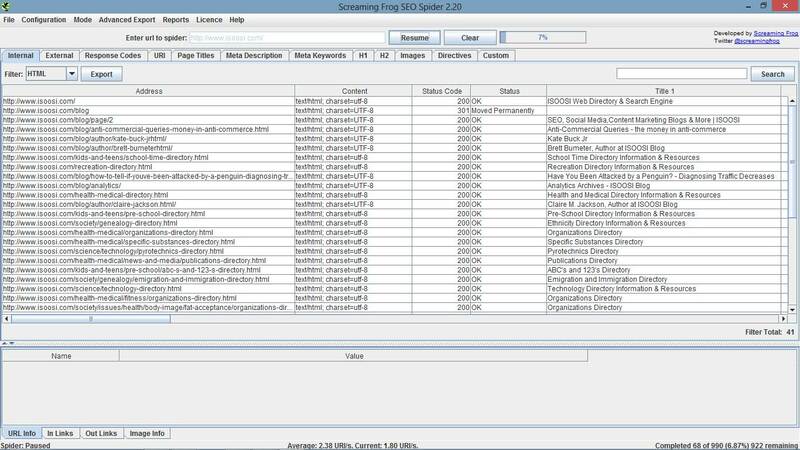 Another tool from this category is the Siteliner, which is a free online tool that works in the same way as a plagiarism checker tool. Apart from checking the originality of the content, this tool also helps online marketers effectively check for broken links, page power and generate reports based on the actual facts. 5. Speed Analysis – Page Speed Analysis is a most crucial step if you want your site to come top of the list of SEO audit strategies. Google Pagespeed Insights is the best and one of the most effective SEO audit tools which is broadly used by search engine optimizers for checking the loading time and speed of the website. If you are observing high bounce rates regarding your website, you can use this Page Speed Test tool to run a quick test of the speed of your targeted page. This is an effective tool, which has gained popularity among top online marketers. Apart from other online tools, the described ones are just exceptional when used for the auditing and optimization of websites. You can choose any of them to analyze how your website is getting treated over the web. As a matter of fact, these tools are amazing when it comes to providing the best detailed analysis for websites. Tom Hardy has hands on experience as a SEO Expert. He currently works at Sparx IT Solutions: SEO Services Company and offers exceptional SEO auditing services to a global clientele. Also, he writes informative blogs and articles on various SEO related subjects and helps readers learn the best tips on how to optimize a website over the web using SEO tools and techniques. Thanks for the article Tom, it’s very informative. Out of the tools that you mentioned in your article, which one is your favorite? Well done, Tom. The list is actually pretty good.